Workability is defined as that property of the concrete which determines amount of useful internal work necessary to produce full compaction. In other words, workability is property of fresh concrete or mortar which determines the ease and homogeneity with which it can be mix,placed,compacted and finished. 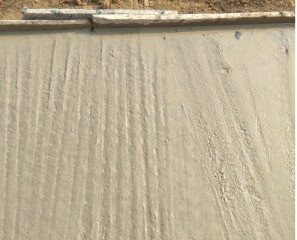 So, A concrete said to be workable if it is easily mix,placed,compacted and finished without any segregation. Workability improves with the increase in water content in concrete and vice versa. Aggregate-cement ratio is an important factor influencing workability .Lower aggregate-cement ratio gives higher workability and vice versa. Use of large size aggregate in concrete gives better workability within certain limits. Use of round aggregate in concrete gives higher workability than that of angular or flaky aggregate. Rough textured aggregate will show poor workability and smooth textured aggregate will give better workability. The better the grading ,higher workability. Uses of admixture such as air-entraining agents,plasticizers etc gives better workability.